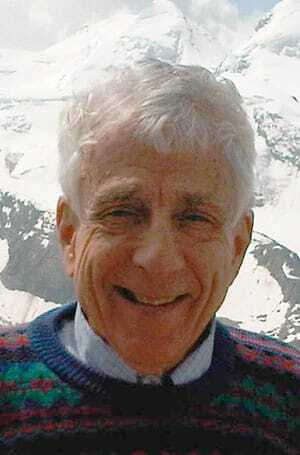 Peter Achinstein specializes in philosophy of science and has interests in the history of science as well. In addition to numerous articles and reviews in these fields, he is the author of Concepts of Science (1968), Law and Explanation (1971), The Nature of Explanation (1983), and Particles and Waves (1991). The latter, which received the Lakatos Award, is a study of methodological problems arising from three episodes in 19th-century physics: the wave-particle debate about light, the development of the kinetic-molecular theory, and the discovery of the electron. Recent publications include The Book of Evidence (2001), which develops a theory of scientific evidence and applies it to cases in the history of science, Science Rules: A Historical Introduction to Scientific Methods (2004), Scientific Evidence (2005), and Evidence, Explanation, and Realism (2010), which is a collection of his essays. In 2011, he was honored by a festschrift, Philosophy of Science Matters: The Philosophy of Peter Achinstein. This contains 20 papers on his work by former students and other important writers. Evidence and Method (2013) discusses the scientific methods of Isaac Newton and James Clerk Maxwell. In 2018 he published Speculation: Within and About Science, which raises the question of what a scientific speculation is, and whether and when speculating is ever legitimate in science. He has held Guggenheim, NEH, and NSF fellowships, and has served as a visiting professor at MIT, Stanford, and the Hebrew University of Jerusalem. He is a founder and Director of the Johns Hopkins Center for History and Philosophy of Science.